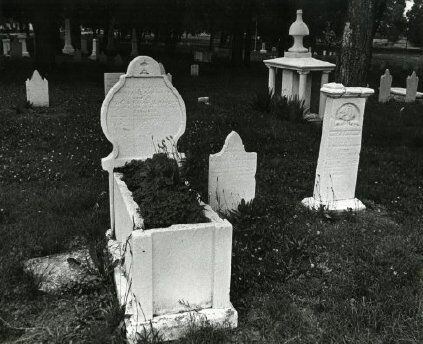 This is a photograph of John B. Rodes and Ward C. Sumpter in Pioneer Cemetery. 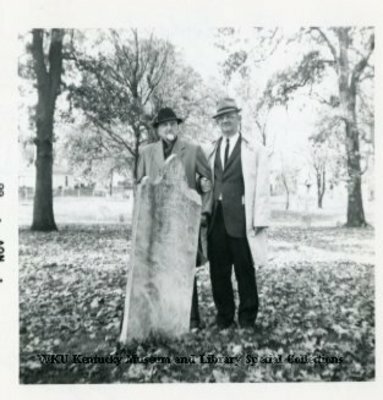 They are visiting William Chapline's tombstone. This photograph is from the Camilla Gerard Collection.